Dr. Carroll C. McCarroll, 78, Independence, MO, passed away Saturday, October 27, 2018 at the VA Medical Center in Kansas City. Visitation will begin at 9:00am, followed by services at 11:00am on Wednesday, October 31 at Memorial Missionary Baptist Church, 11424 Hickman Mills Drive, Kansas City, MO. Burial will follow in Green Lawn Cemetery, Kansas City, MO. In lieu of flowers, contributions are suggested to the Dr. McCarroll Memorial Fund, c/o Heart of America Ministries, 7600 Blue Ridge Blvd, Kansas City, MO 64138. Carroll was born November 22, 1939 in Poplar Bluff, MO, to Carroll Moore and Marguerite (Cheney) McCarroll. He had lived in the Kansas City area for 36 years, and had served in the US Army. He was the founding pastor of Heart of America Christian Fellowship, as well as founding many other ministries throughout the years. He was the North Missouri Superintendent of Kingsway Christian Fellowship. He was bestowed the honor of Kentucky Colonel by the Commonwealth of Kentucky. Carroll is survived by his wife of 57 years, Bonnie Sue McCarroll; three sons, Daniel (Tara) McCarroll, David (Cheryl) McCarroll, and Matthew (Rachel) McCarroll; two daughters, Valerie (Rodney) Stock, and Cindy Graham; a brother, Tom McCarroll; a sister, Nancy Jo Hutsell; and 13 grandchildren, Nicholas, Ian, Julianna, Caleb, Sarah, Joshua, Rachel Joy, Irielle, Olivia, Phillip, Lucas, Samuel, and Jonathan. Visitation will begin at 9:00am, followed by services at 11:00am on Wednesday, October 31 at Memorial Missionary Baptist Church, 11424 Hickman Mills Drive, Kansas City, MO. Burial will follow in Green Lawn Cemetery, Kansas City, MO. In lieu of flowers, contributions are suggested to the Dr. McCarroll Memorial Fund, c/o Heart of America Ministries, 7600 Blue Ridge Blvd, Kansas City, MO 64138. My favorite memory is when Juvi was playing the pastor during a play and Olivia asked, ”How are you, Pastor?” and he replied, ”Still saved!” Pastor McCarroll’s favorite reply to ”How are you?” You could hear Pastor laughing at that in the audience. We miss you! I take this time to thank Dr McCarroll for the 4 years I was under his ministry in theology school. I learned so much. The listening ear, The wisdom, the joy of the Lord that you could see through him, blessed so many of us. Thank you for all you done for me. When I would say, how are you Dr McCarroll, He would say, “I’m still saved. 😊 Heaven Sent Community Baptist Church Pastor Samuel L. Martin and Minister Linda Martin sends our deepest Condolences. My heart, love and prayers go out to the entire Mcarroll family God Bless you all during this difficult time. I didn't know you exsisted before 1993. It will be difficult now to realize that your gone. I take much comfort in knowing you are with Jesus, that your not sick and that I will see you again. I thank Dr.McCarroll for helping me in my seminary study and teaching. The most striking memory is when no other seminaries accepted me because I didn't take the TOEFL Test, only Dr.McCarroll of HOA Theological Seminary accepted me. I firmly remember the time when I popped-in the seminary and was warmly welcomed by Pastor. On "testing" my calling to serve the Lord full-time and full-life, he resonated with strong "Amens" & "Hallelujahs", which thundered my heart ! That started my study. And I learned a lot from the study and Pastor himself. His spirit, his spiritual insight, his intercessions, his exemplary and his humor. He is now most joyful in the bosom of our dear Lord Jesus. Let's pray for his families and the ministries which he started ! Amen. Pastor had done a great job raising his children they are beautiful. I'll be forever grateful to Dr. McCarroll for the opportunities he afforded me by attending, graduating from and teaching at the Heart of America Theological Seminary. My prayers are with Bonnie and the rest of the family. Pastor Carl, myself and the entire Grace Christian Fellowship Church loves you thank God for gifting the body of Christ with you. DR. McCARROLL WAS A TRUE SERVANT OF THE LORD IN EVERY WAY. FROM HIS BIBLICAL KNOWLEDGE AND HIS OUTSTANDING LEADERSHIP HE WAS A STATESMAN IN THE BODY OF CHRIST. IT WAS OUR PRIVILEGE TO LABOR WITH HIM IN KINGSWAY FELLOWSHIP INTL. FOR SO MANY YEARS AND TO MINISTER IN THE GREAT HEART OF AMERICA CHURCH MORE THAN ONCE. OUR LOVE AND PRAYERS GO OUT TO HIS BELOVED WIDOW, BONNIE SUE, AND HIS PRECIOUS FAMILY. REVELATION 14:13 SAYS "BLESSED ARE THE DEAD WHICH DIE IN THE LORD THAT THEY MAY REST FROM THEIR LABORS AND THEIR WORKS DO FOLLOW THEM." THIS CAN TRULY BE SAID OF DR. CARROLL McCARROLL. Daniel and family: our deepest condolences upon passing of your father. What a great loss. Our thoughts are with you in this difficult moments. 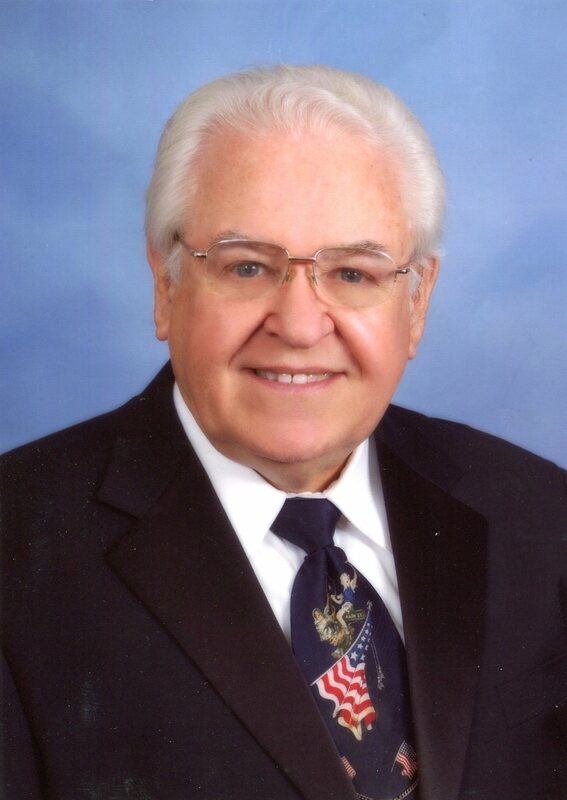 On behalf of myself and family and the Glad Tidings Church of Kansas City, please accept our prayers and deepest sympathy at the passing of Rev McCarroll. What a blessing and powerful witness he has been for the kingdom of God, for so many decades; now he has gone to receive his reward. May The Lord’s peace and comfort be with the entire family. You are in our prayers. Words can not express how much I am going to miss Dr. McCarroll. I wept tears of joy knowing that he has obtained heaven. During my tenure at Heart America School of Theology, his love and grace kept me going. Not only this, he would greet me by saying, "I'm still saved!" This was reassuring that God's grace is sufficient. Indeed, with a great cloud of witnesses, now including Dr. McCarroll, I will finish my Dissertation in Chrisitian Education in 2019. Be assured that I will be upholding Sis. Bonnie McCarroll and family in prayer and stand ready to assist in any other way that I can. With loving thoughts and sympathy, Sis. Yvette Hayes. I am sending my heartfelt love and care to the McCarroll family! My deepest condolences go out to the family upon hearing of the homegoing of my spiritual father in Christ Dr. Carroll C McCarroll. He will truly be missed as a true man of God! He was well-versed in Holy Scripture! A highly favored, powerfully anointed and spiritually a man of the Most High God! Bishop McCarroll's Spirit is in the Presence of God forevermore! Ever to Rejoice in Peace! I will forever remember you Dr Carroll McCarroll for reviving my Theological Studies by patiently encouraging me even I felt like quitting. You will always be remembered Papa. Go well. From your M.A. Pastoral Ministries Student, Lusaka Zambia, Central Africa.